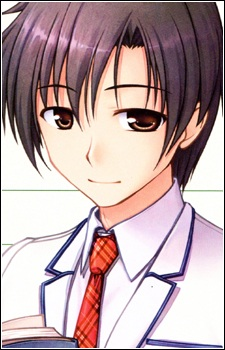 Kyoutarou is a diligent young man who enjoys reading as his favorite passion. All he does within his leisure time is read any book nearby. He even has his dorm room filled entirely of books. He has always been an honor student ever since he has stepped school but he finds the occurrence usual and boring. He then decides to enroll on a school of his choice that has lots of books, thus ending on Shiomi Academy. He doesn't know the academy has some students who use magic because all he has in mind is about the big library inside the school and the rumored hidden huge magical shelves place. Kyoutarou isn't the president of the Library Club but all of the members always rely on him. On the same note, the girl members of the club always fight about who is better to him as well. He also seems to be a fun killer that he immediately objects the suggestion of the Library Club to spend time on the beach.